A compact, reliable, refillable multifunctional ideal for or home or office, with high yield inks for productive low-cost printing. 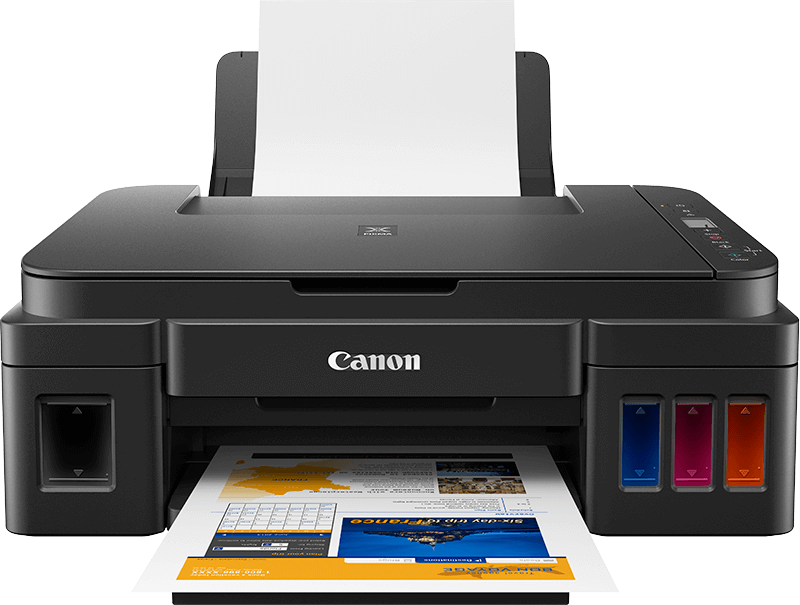 Efficient and versatile, this home and office multi-functional printer boasts high yield ink bottles for low cost, high quality document and photo printing, copying and scanning and the reliability to handle high page volumes with ease. This compact All-in-One with print, copy and scan handles large print volumes with ease thanks to its durable, FINE ink system. Ideal for home or small offices. Enjoy quick and easy USB connectivity to your PC and simple operation thanks to a 3cm (1.2”) mono LCD, which enables easy selection of multiple copies, and push button controls. Easily print your photos in new and creative ways with My Image Garden photo software, which includes face recognition so you can search all the images on your PC with ease.